 The Nygaard & Longe Law Office is conveniently located at 2588 Rice Street in Little Canada. It is in the Edgewater Town Office Park; which is approximately .7 miles north of Highway 36 on the east side of Rice Street. 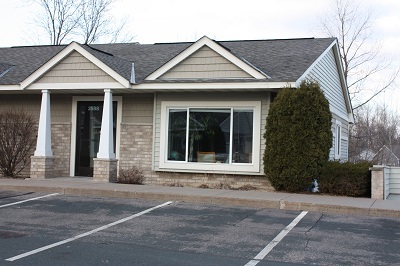 The Edgewater Town Office Park is approximately 1.8 miles south of Interstate 694. Interstate 35E is approximately 1 mile east of our office, and we are located just south of County Road C.
From Highway 36, exit at Rice Street, and drive north approximately .7 miles. Our office is located on the east side of Rice Street in the Edgewater Town Office Park. Most of the Edgewater Town Office Park is off of Rice Street on a cul-de-sac. The driveway for the Office Park is two driveways north of the Flameburger Restaurant. From Interstate 35E take the Little Canada Road exit and proceed west. Little Canada Road intersects with County Road C at the first stop sign west of the interstate exit. At the stop sign, Little Canada Road turns into County Road C if the driver proceeds straight west (Little Canada Road veers off to the north). County Road C intersects with Rice Street at the first stoplight. The Edgewater Office Park is just south of County Road C on the east side of Rice Street. Link to Google Maps (enter starting address for directions).